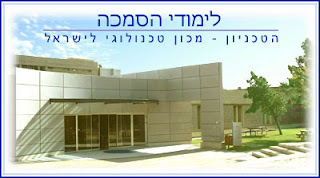 The Technion – Israel Institute of Technology (Hebrew: הטכניון – מכון טכנולוגי לישראל‎) is an internationally acclaimed institute of technology in Haifa, Israel. Originally called the Technicum, it was founded in 1912.The emphasis was on natural sciences, engineering and architecture, with a school of medicine added later. Two Nobel laureates teach there. The Technion's Faculty of Electrical Engineering has been ranked among the top fifteen electrical engineering departments in the world.Its engineering/technology and computer sciences faculties have been ranked among the top forty in the world. 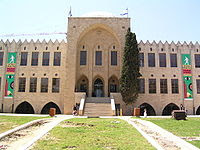 The Technion was conceived in the early 1900s by the German-Jewish fund Ezrah, as a school of engineering and sciences, and the only higher learning institution, in then Ottoman Palestine — other than the Bezalel Academy of Art and Design in Jerusalem (founded 1907). The cornerstone was laid in 1912, but studies began only 12 years later, following an intense debate over the language of instruction. Ezrah deemed Modern Hebrew inappropriate for scientific instruction, and demanded that German be used instead. However, in the aftermath of World War I and the decline of Germany's influence as a European superpower, Hebrew was adopted. The Technion opened in 1924, although the official opening ceremony took place in 1925. The first class had 16 students, majoring in civil engineering and architecture. In the 1930s, the Technion absorbed many Jewish scientists fleeing Nazi Germany and neighboring countries. In 1953, it awarded its first PhD in electrical engineering. Until the establishment of a school of engineering at Ben Gurion University in the early 1970s, the Technion was the only institution in the country offering engineering degrees. 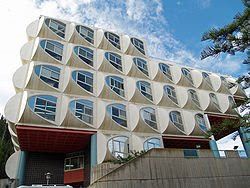 The Bruce and Ruth Rappaport Faculty of Medicine is one of four state sponsored medical schools in Israel. It was founded in 1969 and is active in basic science research and preclinical medical training in anatomy, biochemistry, biophysics, immunology, microbiology, physiology, and pharmacology. Other facilities on the Faculty of Medicine campus include teaching laboratories, a medical library, lecture halls, and seminar rooms. Academic programs are offered at the Rappaport Faculty of Medicine leading to the Master of Science (M.S. ), Doctor of Philosophy (Ph.D.), and Doctor of Medicine (M.D.) degrees. They have developed collaborative research and medical education programs with the world's leading institutions in medicine and bio-medical engineering including Harvard University, Johns Hopkins University and Mayo Medical School. Similarly, the Technion American Medical Students (TEAMS) program at the Rappaport Faculty of Medicine offers an American-styled, four-year, graduate medical training program geared toward American & Canadian students that wish to take advantage of the academic resources of the Technion, but plan to return to North America to practice medicine. The instruction and testing of TEAMS program is entirely in English. The Faculty of Industrial Engineering & Management at the Technion is the oldest such department in Israel. IE&M (Industrial Engineering & Management) was launched as a Technion academic Department in 1958. The Department grew under the leadership of Pinchas Naor, who served as its founding Dean. Naor's vision was to combine IE with management by creating a large, inherently multi-disciplinary unit covering a wide spectrum of activities, from applied engineering to mathematical modeling; from economics and behavioral sciences to operations research and statistics.